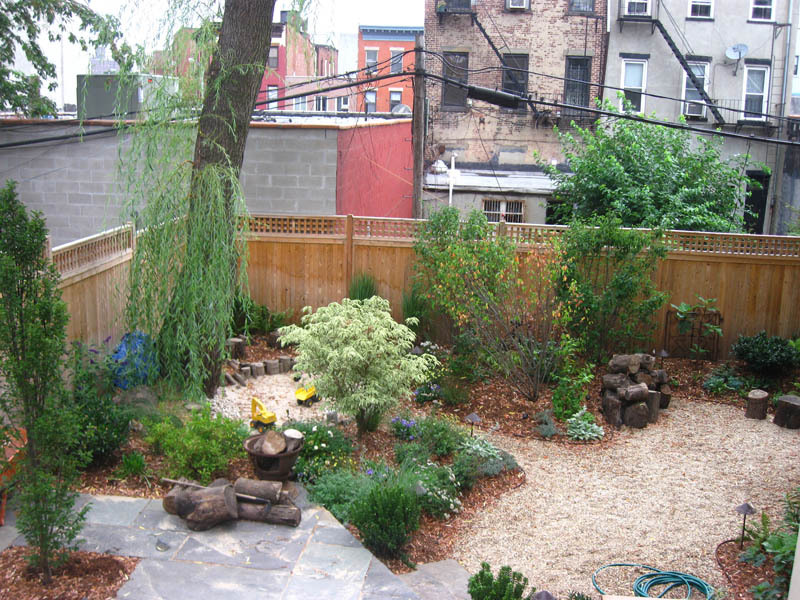 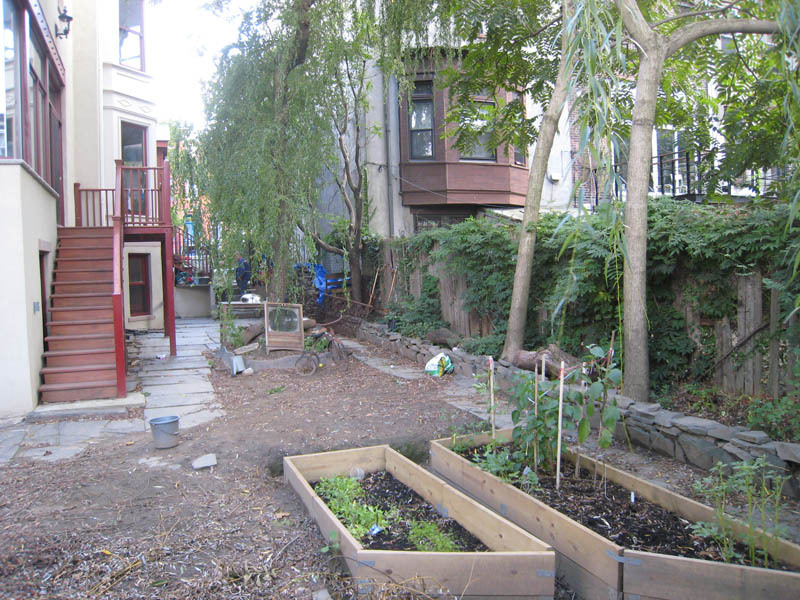 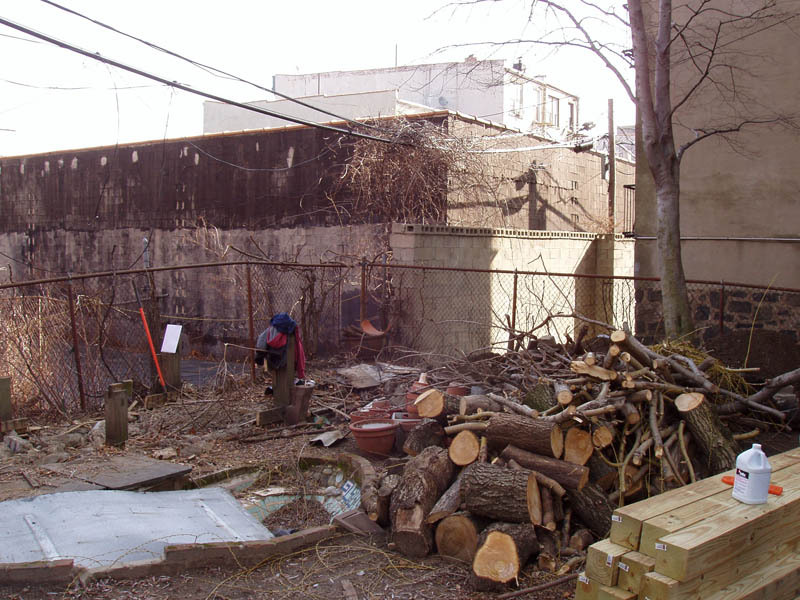 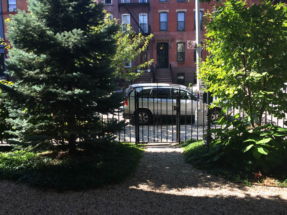 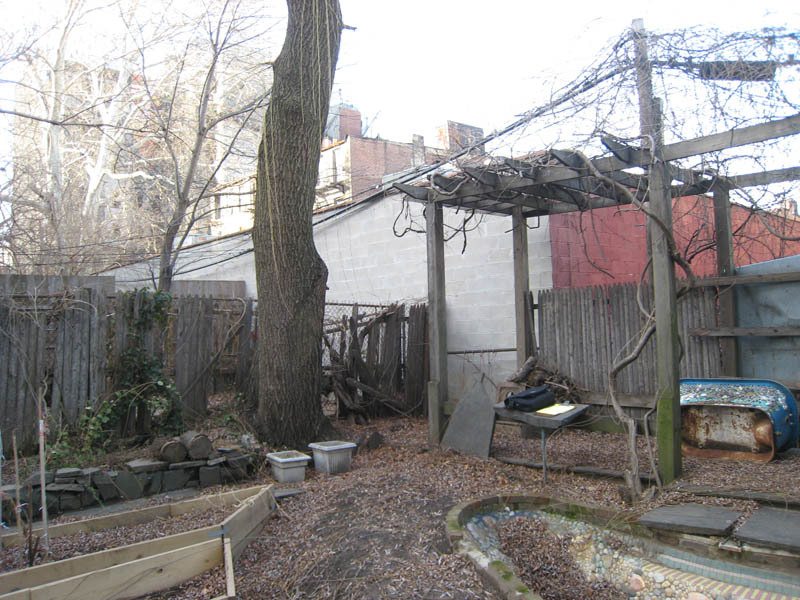 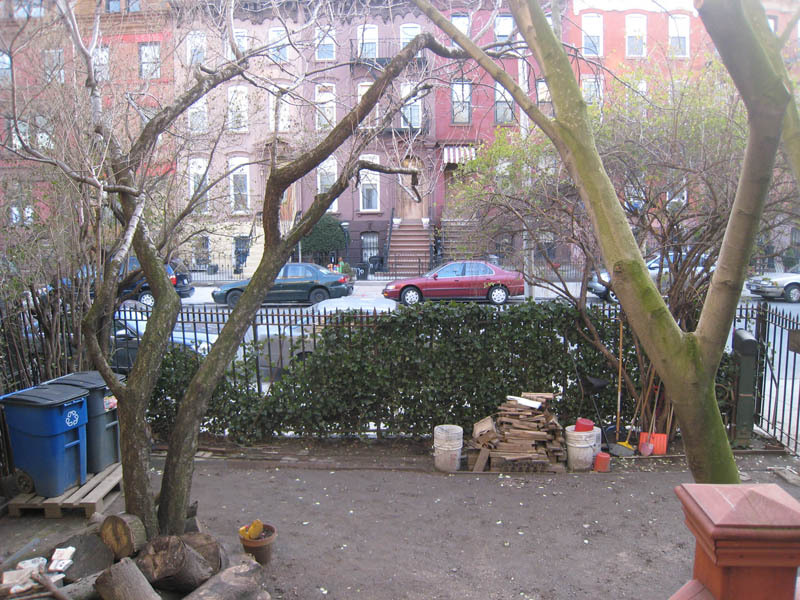 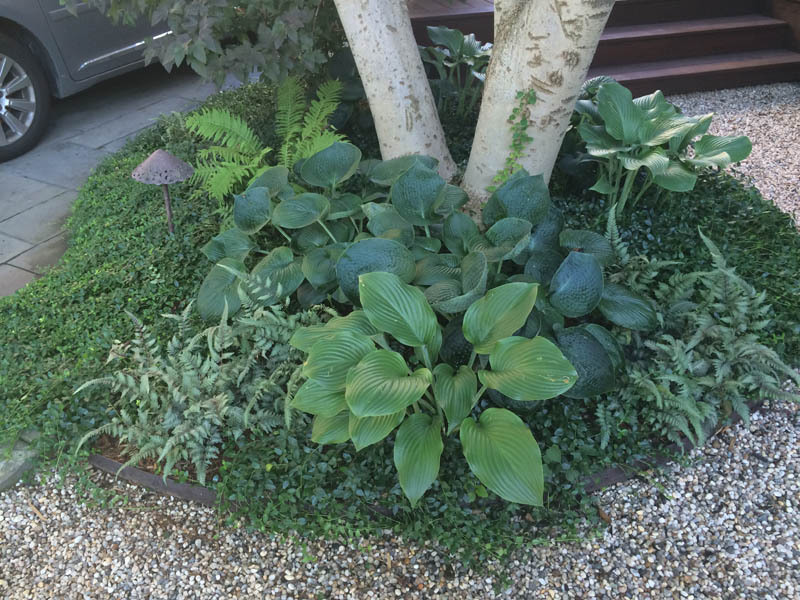 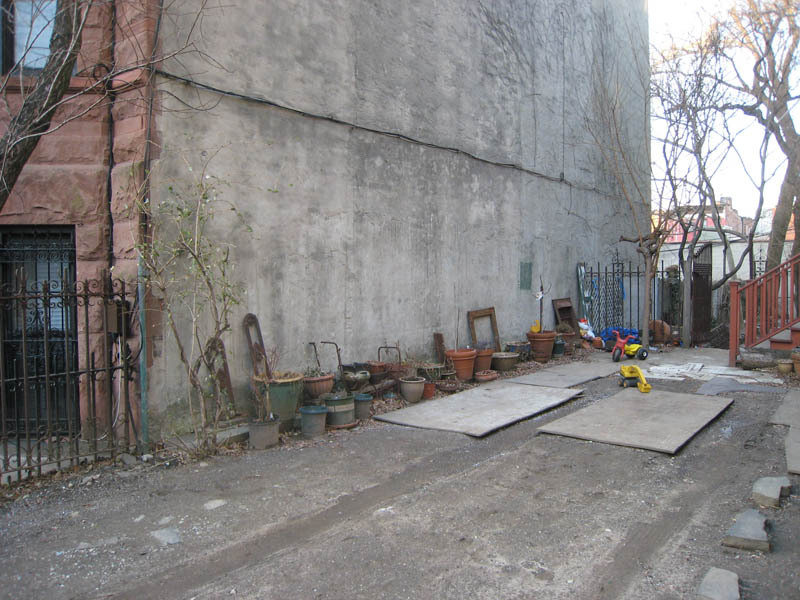 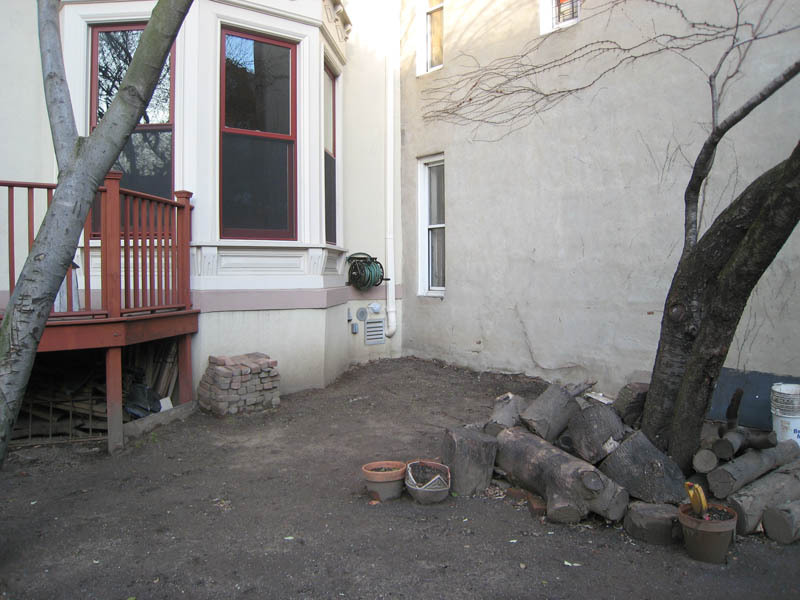 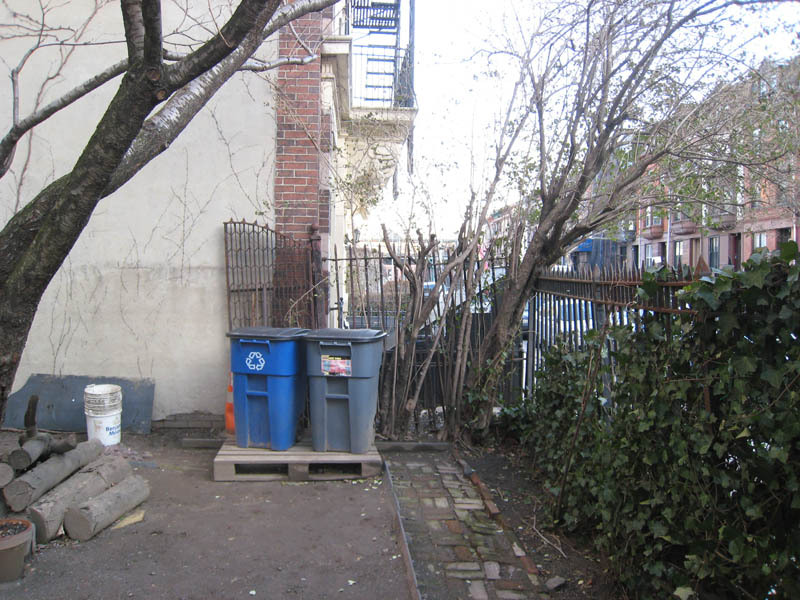 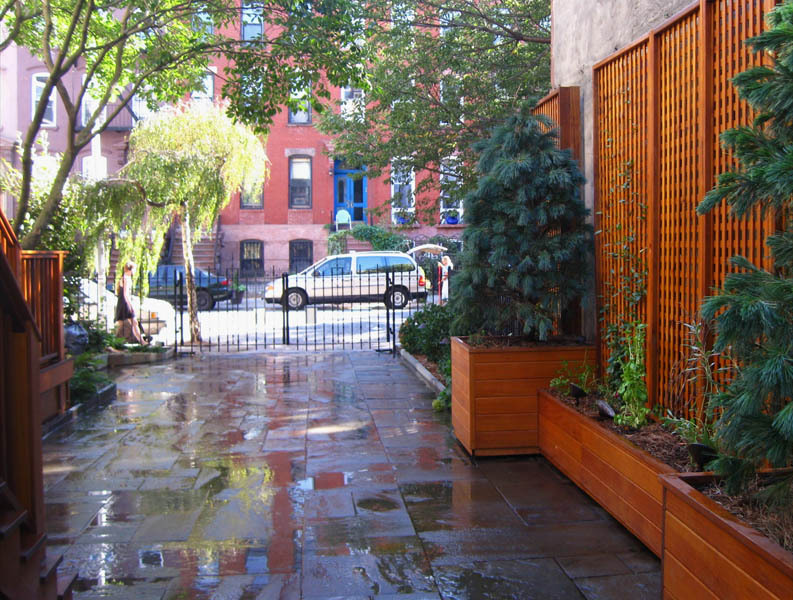 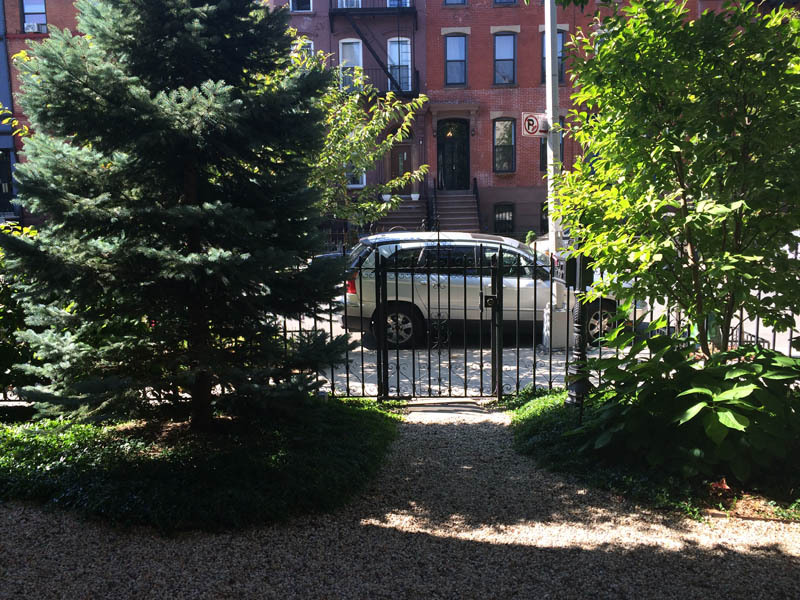 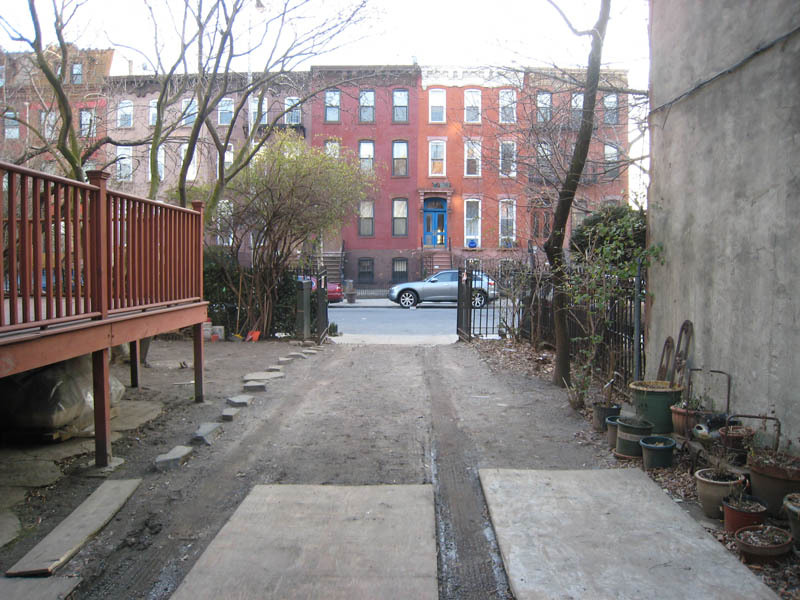 This three-sided garden is a rarity in Brooklyn and it was in ruins. 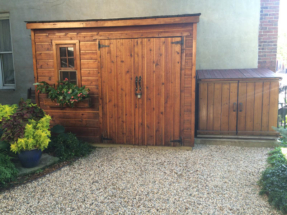 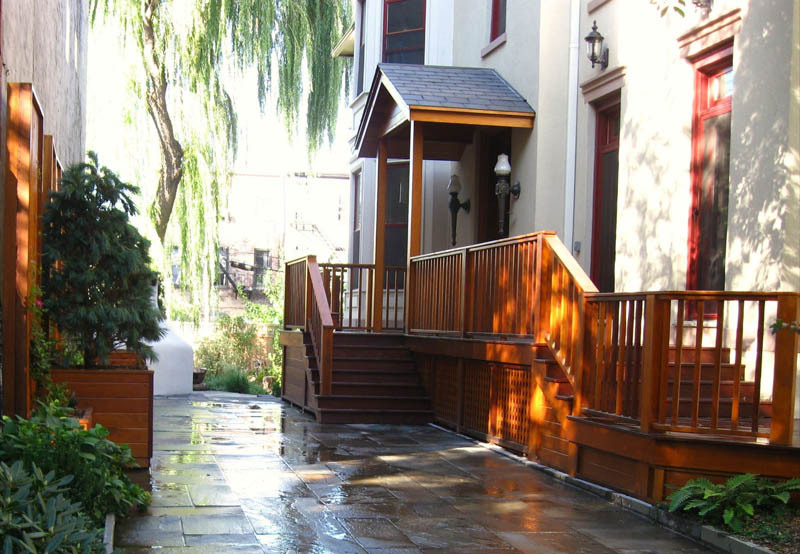 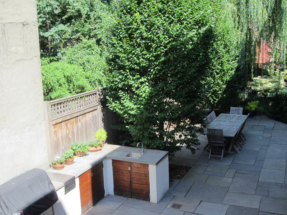 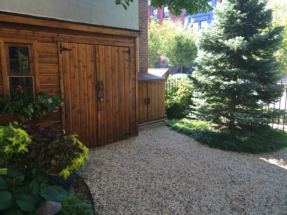 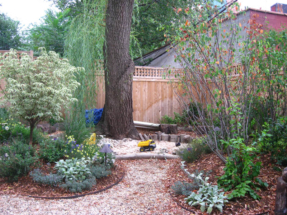 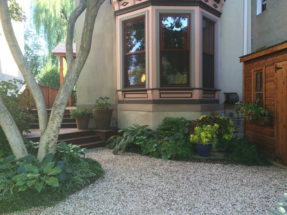 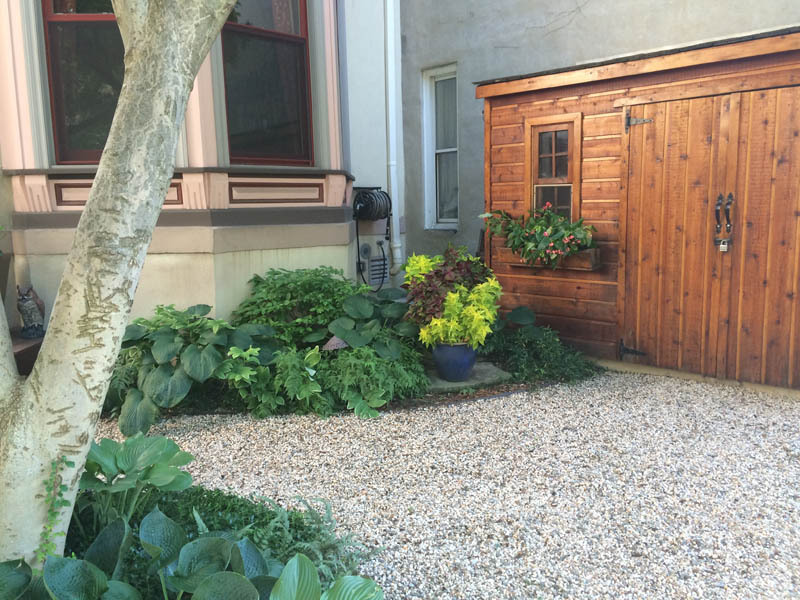 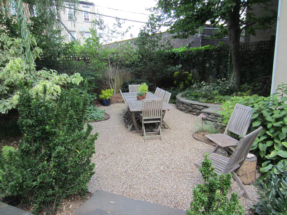 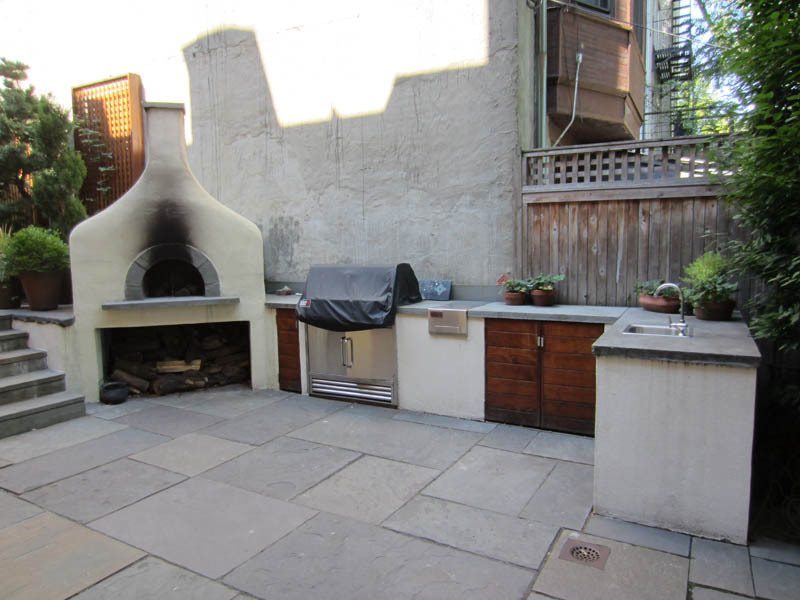 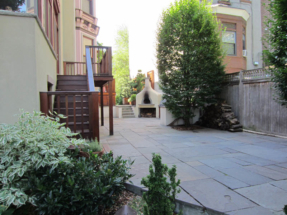 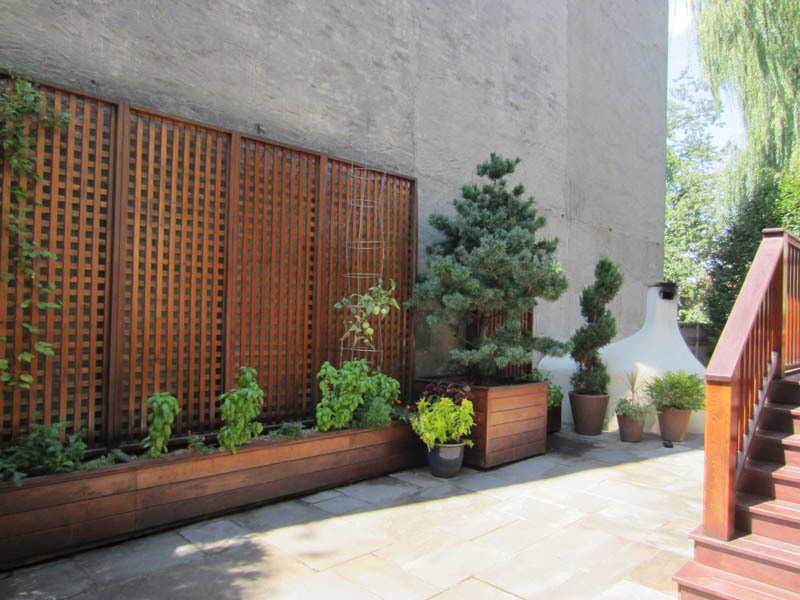 The space was transformed with stone walls, bluestone driveway, gravel patios, and pathways. 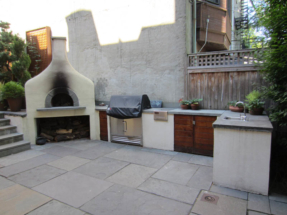 A pizza oven was added along with a sandbox and seating area for the children. 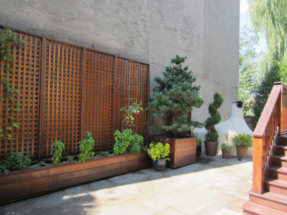 The wooden portico, deck, and planter boxes with trellises for vegetables were constructed, along with the addition of a shed and garbage bin. The client commented recently, “We use it every day and it was worth every penny”.